Lottery winnings are a once in a lifetime event – in fact most people don’t win the lottery during their lifetimes. However, it is not uncommon for people to suddenly have more money than they did before. Large bonuses, a better job, or a substantial inheritance can unexpectedly increase a person’s net worth. What happens when you find yourself with more money than expected? What happens if your former partner obtains a large windfall? Community property is property that married spouses own together. Any property or assets acquired by either spouse during the marriage is considered community property, regardless of whose name is on title. This includes real estate, personal property, cash, bank accounts, and lottery winnings. Nine states use community property rules: Arizona, California, Idaho, Louisiana, Nevada, New Mexico, Texas, Washington and Wisconsin. What If I Don’t Live in a Community Property State? All other states follow common law property rules (not to be confused with common law marriages). Property is owned solely by each individual unless the spouses agree otherwise. For instance, if a married Californian wins the lottery, the winner’s spouse is automatically has a 50% interest in the winnings. On the other hand, the lottery winnings of a married Florida man would belong solely to him unless he is part of a contract that gives his spouse rights to the lottery winnings as well. Some non-community property states may have laws that deviate from the common law property rules. Some states may require family law courts to divide property by fairness and equity on a case by case basis. 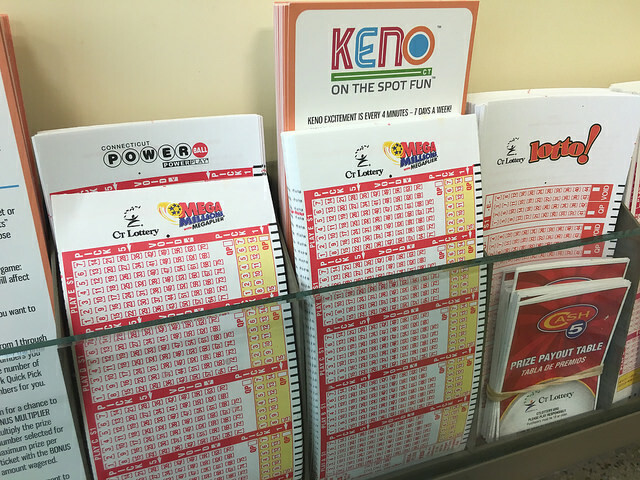 If a lottery ticket was purchased with share money, a judge may divide the proceeds based on income, earning capacity, years of marriage, and any other relevant factor. The rules in community property states can be different if you inherit cash or assets. Inherited property in community property states is considered separate property: what you inherit is yours and you are not obligated to share your inheritance with your spouse. Suppose Grandma intended for you to have her house when she passed away, but she doesn’t like the person you married. Rather than jeopardize your inheritance, community property states have decided that any property that Grandma gives to you is solely yours. This rule can extend to lottery winnings: if you purchased the winning ticket with inherited money, the windfall will be yours solely and separately. There’s an exception though: if you commingle your separate property with community property, then the separate property will become community property and your spouse will become entitled to his or her half. For instance, suppose that you decide to sell Grandma’s house and put the money into a joint account that you share with your spouse. The two of you decide to use all the money in the joint account to buy another house, and then sell the house a few years later after fixing it up. After a few more years, the new joint account is completely untraceable to the inheritance you received from Grandma. At that point, the inheritance has been thoroughly commingled with community property and there is no distinction between them. In a community property state, the timing of your windfall may determine whether you are obligated to split your lottery winnings or your Christmas bonus with your ex-spouse. If you separate from your spouse while residing in a community property state before winning the lottery, then your spouse owns half the money. If you win the lottery after the judgment has been signed, then you own 100% of the money without your spouse. The gray area is when you obtain the money after separation before the judge has signed the divorce decree. Although the date of separation is typically when the community ends, the separation is usually considered a trial period for couples to decide whether they want to get back together, remain separated, or obtain a divorce. The intent during a separation period can be muddled as the parties themselves may be unsure how they want to proceed. A large windfall of money may how one or both parties feel about a pending divorce. Although it only takes one party for a divorce to proceed, winning the lottery during the separation period may prompt a party deciding to stay to leave instead or vice versa. If that occurs, the other party may fight tooth and nail to obtain a percentage of the money. Does Winning the Lottery Effect Child Custody? Child custody has no effect on who owns property. However, winning the lottery or obtaining a large amount of money may affect support payments. What About Winning the Lottery and Spousal Support? Lottery winnings can impact spousal support payments. If you are paying alimony and the other spouse wins the lottery or otherwise acquires a large windfall of income, you may request a reduction in support based on a change of financial circumstances. Similarly, if you are receiving support and your former spouse finds how you won the lottery, you may have your alimony payments reduced if not voided altogether. What About Winning the Lottery and Child Support? If you are behind on your child support payments and you do not have custody of your child, the other parent can ask the court for the balance from your lottery winnings. Many states will automatically deduct whatever is owed for child support from the winnings before you receive it. When the child support deductions are made, you are entitled to the rest of your winnings. If you are current on your child support payments, the other parent can seek a modification of support, most likely to increase the amount of the payments. The other parent would have to show how the increased payments would benefit the child(ren) and not just the other parent. You may wish to consider setting up a trust fund so that the money is distributed in discretionary amounts to the child(ren) directly without the risk that the other parent will spend it on themselves. « Michael Cohen's Testimony: Can Felons Be Credible Witnesses?